Wild Honey is well known in Singapore for its all-day breakfast offerings. 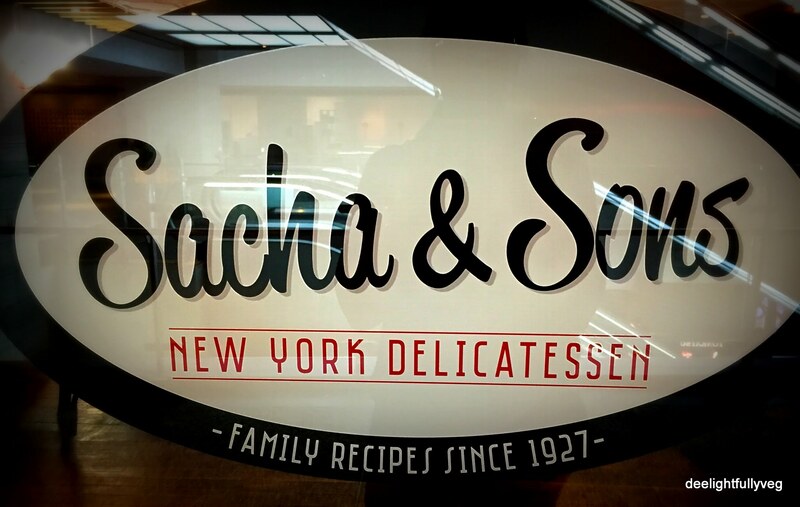 The same owners have opened a New York style Deli called Sacha & Sons . Situated in the plush Mandarin Gallery , this place offers classic delicatessen selections. There’s a great ambiance with people chatting away and grabbing a quick bite that does remind you a bit of New York cafes. As a foodie, I am always excited to go through menus and check for the different vegetarian options I can try out. 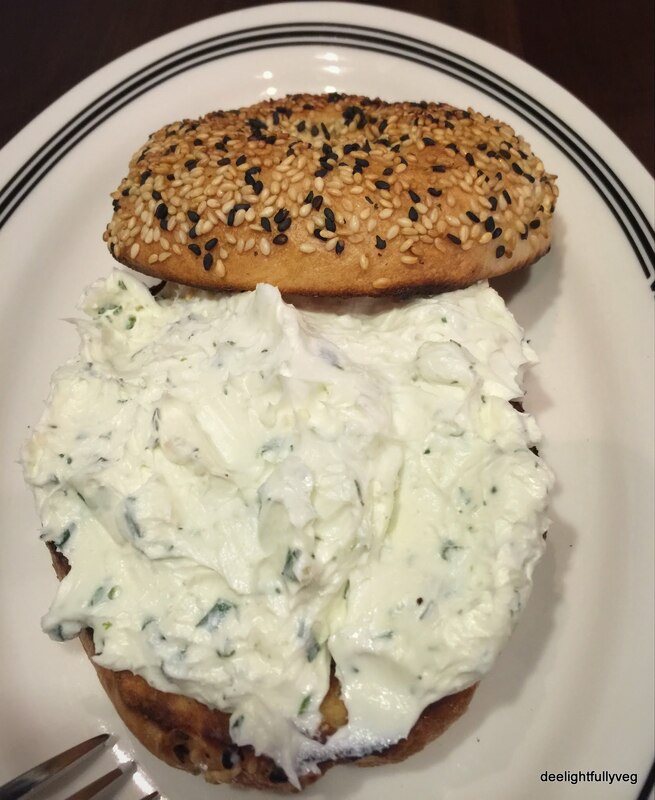 To start our meal, I decided to go for the ‘Bagel and Cream Cheese’ which is a classic combination. These were sesame flavored bagels with a chewy texture and the herb infused cream cheese had a nice amount of garlic in it. I quite enjoyed this dish and forgot about the calorie count in the process. The most interesting dish that I found on the menu was ‘Latkes’ which I had never tried before this outing. ‘Latkes’ are basically potato pancakes deep fried in oil. It is a traditional Jewish dish made during Hanukkah. They have different toppings on this and I opted for ‘Sour Cream’ and ‘Applesauce’. It is quite filling and I would highly recommend this delicious dish. 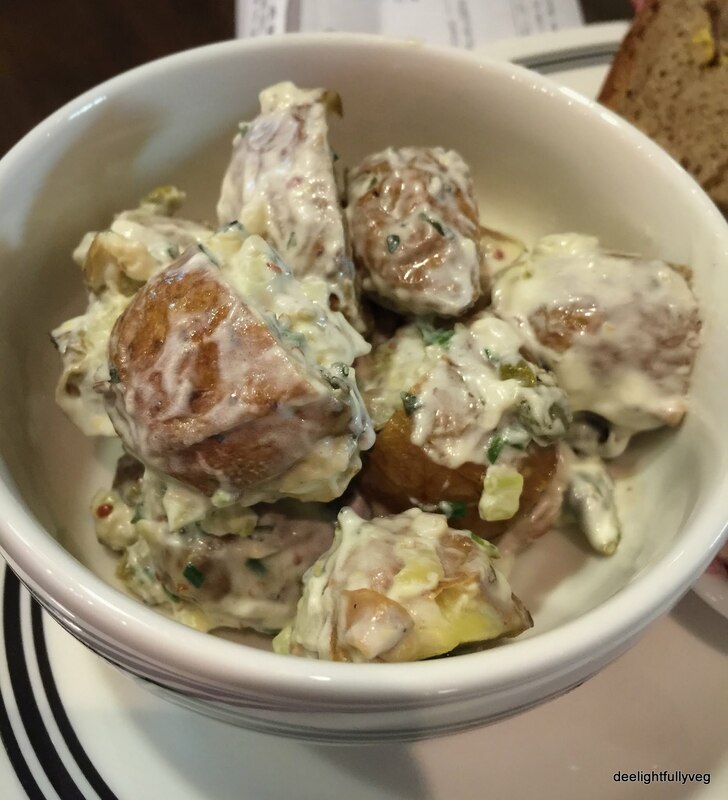 On the side, we also ordered the ‘Cold Potato Salad’ which was passable. Its more a matter of personal preference as I prefer warm potatoes to the colder version. As a thirst quencher, we went for the ‘Ruby Grapefruit Juice’ which was refreshing and nice. 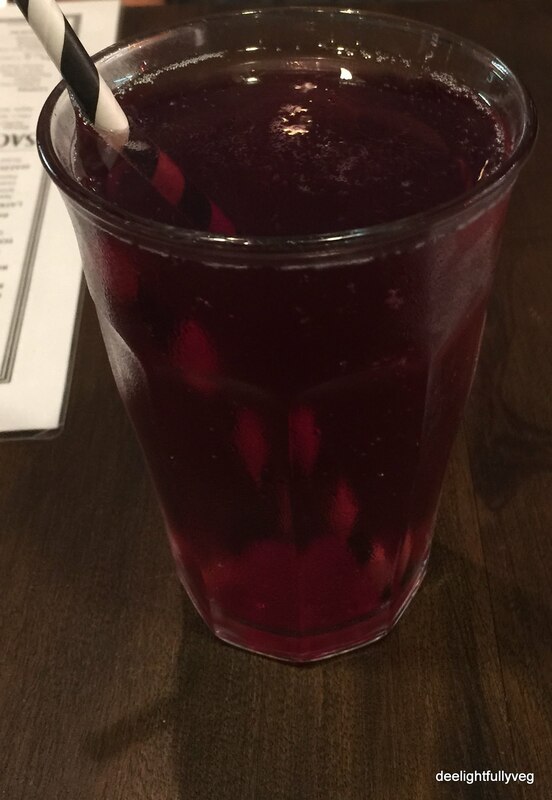 It was a dark red colour that clearly glistened in the warm lights and made it one visually appealing glass. On the whole, they are slightly pricey for the serving portions. Barring that – for the introduction of a new concept, for unique food offerings and good food, Sacha and Sons deserve a visit. 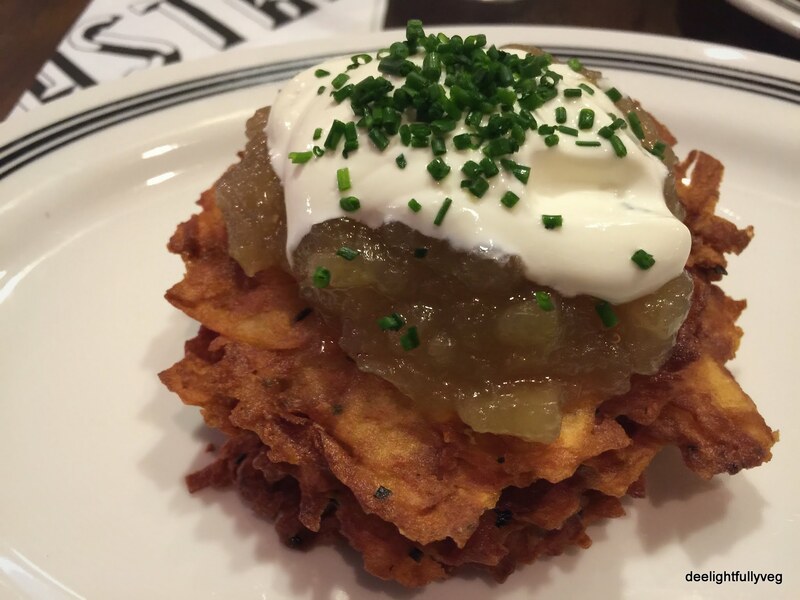 Posted on July 28, 2015 by deelightfullyveg	• This entry was posted in Restaurants and tagged Bagel, Jewish Deli, Orchard, Rosti, Singapore, Vegetarian. Bookmark the permalink.